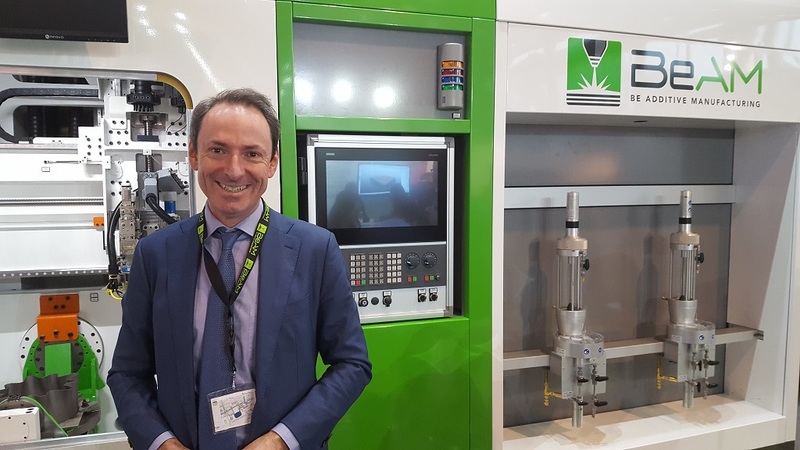 Vincent Gillet will focus on expanding BeAM’s footprint in Europe and on international markets, reinforcing existing partnerships with strategic clients, increasing growth at the US subsidiary and preparing the launch of new models of BeAM machines currently under development. Vincent Gillet was appointed Chief Executive Officer (CEO) of BeAM, a pioneering provider of additive manufacturing machines based on Directed Energy Deposition (DED) technology, on 21 August 2017. Vincent Gillet spent most of his career in the ArcelorMittal Group in Europe and the US, starting out as VP of Business Development at the upstream arm of the company in 2001. He was subsequently appointed Deputy CEO of Arcelor International in 2004 where he acquired extensive expertise in managing Arcelor’s export sales network. In 2006, he was made CEO of the Processing business unit (ArcelorMittal TOP), overseeing the manufacture of metal components for the group’s major industrial clients at its plants in Europe, India, China and Egypt. In 2011, Vincent headed ArcelorMittal’s Construction Projects business line, and in 2015 was made General Manager, Business Development at ArcelorMittal Distribution Solutions, where he divested non-core assets and created joint ventures such as SteelCAMe and AcierPlus. Vincent Gillet holds an MBA from the Ecole Nationale des Ponts et Chaussées (national civil engineering school) and an Engineering degree from the Ecole Nationale d’Arts et Métiers (national school of Engineering and Technology). He is 52 years old. Your message has been successfully sent, we thank you. Please check the red boxes in the form to send your message. and our Solutions Center in Cincinnati, OH.